There are conflicting news regarding the presence of women in President Rohani’s new cabinet. Some say women might be present at the ministerial level while others say there is no such prospect for women. The women already serving in the Rohani cabinet have not been able to confirm that a woman will act as minister in the next government. 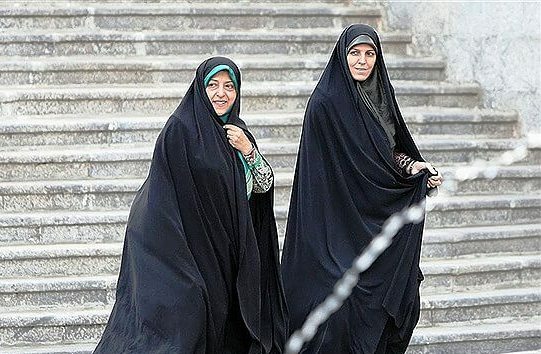 There are four women serving as deputies in Rohani’s current cabinet. Zahra Ahmadipour head of Iran Cultural Heritage, Crafts and Tourism Organization reports that the president is still reviewing the possibilities for his new cabinet. She highlighted the importance of the presence of women in top leadership positions and in contrast to statements by conservative factions of the Islamic Republic, Ahmadipour stated that they are in fact many eligible women that could carry out the responsibilities of the minister. Massoumeh Ebtekar, another government deputy and head of the Department of Environment has supported the possibility of women ministers in Hassan Rohani’s coming cabinet saying the president has a “balanced view of gender in the social arena” and will make a good effort to include women in top leadership positions. Ebtekar fell short of confirming any specific number for the presence of women in Rohani’s cabinet but gave Rohani top marks for already having four women in his cabinet handling the sensitive matters of environment, cultural heritage, women’s affairs and legal advisory. She also lauded Rohani for appointing a women to the helm of the National Library and interpreted these appointments as the president’s confidence in the ability of women to handle top leadership positions. Ebtekar entertained the possibility of having no women ministers saying such an outcome should not be seen as a reflection on women’s potential and skills but rather a result of the many sensitive issues that need to be considered by the president in electing his cabinet. Despite his victory at the elections, Rohani is under constant fire from conservative factions of the Islamic Republic including the Supreme Leader Ayatollah Khamenei. He is repeatedly accused of playing into the hands of the country’s enemies in his policies by disregarding traditional values. Therefore Rohani has had to carry out a balancing act trying to reflect the demands of his voters for greater social liberties and inclusion in the country’s decision making and the detractions of the establishment viewing any change an affront to the system. Ebtekar revealed that she is often harassed about her role in politics and is told to return to “cooking”. While defending her ability to carry out political leadership roles, she insisted that cooking and tending to the family should also be given its rightful place as a vital and valuable occupation in society. Last week, 157 Iranian MPs wrote to President Rohani insisting on the importance of including women in his cabinet. Rohani has confirmed that half of his cabinet will be changed but has made no promises to include women among those.